We are the leading manufacturer and Supplier of Back Seam Easy Opening BOPP Bags. 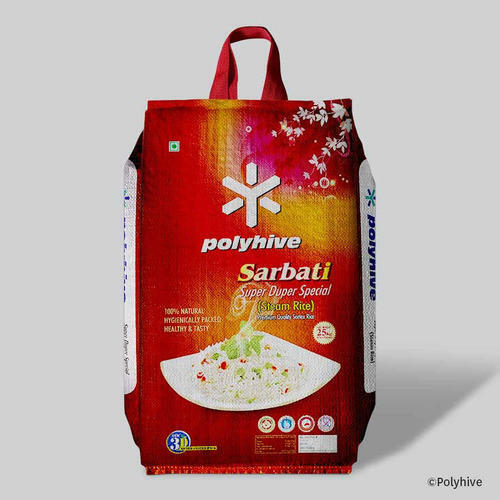 Founded in 2002 with unwavering attention to quality Polyhive (a Unit Of Ganges Jute Pvt. Ltd.) is the fastest growing Manufacturer firm dealing in premium range of Packaging Bags. We are utilizing top of line machinery and equipments to present a wide assortment of high quality products, including PP Bag, PP Woven Fabric and Laminated Bopp Sack. With a firm belief in progression, our team members are developing unmatched quality bags that are demanded across the industry for its comprehensive features of stronger fabrication, superior resistance to dust and moisture, scratch proof finish, UV stabilized surface and superior printability. We aspire to evolve the unmatched class and quality in the woven sack bag industry and leveraging the ultra modern R&D facilities to anticipate the challenging client requirements. We are developing an industry approved range of woven sack bags that finds its application in packaging of food products, cosmetics & toiletries and bulk goods. We have invested in research and development and empower the assiduous approach of our team members by installing high speed machinery at our work setup. Further, we emphasize the power of innovation and endeavor to explore the most credible sources to procure the finest grades of raw materials. In addition to this, we offer provision of customization and surface treatments for our product range that helped us in growing at a phenomenal pace.